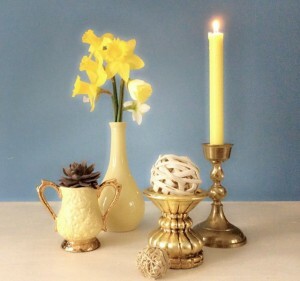 Hues of yellow and gold inspire a new set of centerpiece vignettes! 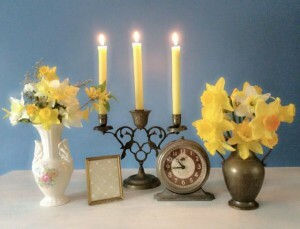 In last week’s post we unveiled our new Vintage Centerpiece Packages! I must admit, I am super excited about this concept because now our wonderful collection of vintage decor can more easily harmonize with each other in unique table vignettes. After refining the concept last week, I wanted to design another set and it didn’t take me long to find my inspiration – my favorite signs of spring, forsythia and daffodils! Step 1: Determine how many clusters you’ll need for your vignette. 3-5 clusters on each table. Step 2: Decide on the number of different groups of vignettes. 8 tables with 3 different designs – Group A – 2 tables; Group B – 3 tables; Group C – 3 tables. Step 3: Create a formula for each vignette grouping. 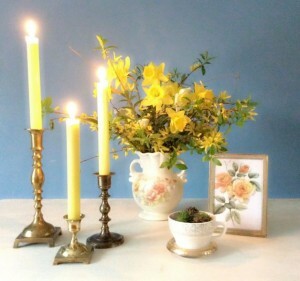 Here are three ideas for a bright, cheery look for a table featuring yellow! Step 4 – List the items needed by their three groups. Step 5 – Let Southern Vintage Table select, pack, and deliver your items! 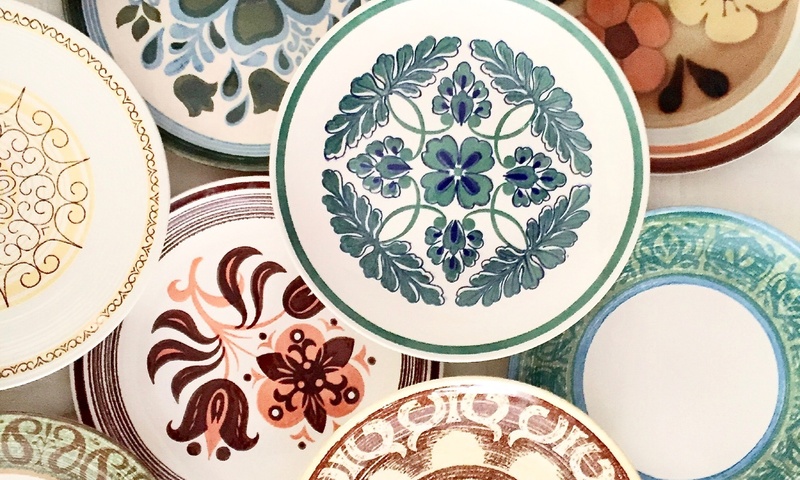 We’d love to help you create your unique table centerpiece! 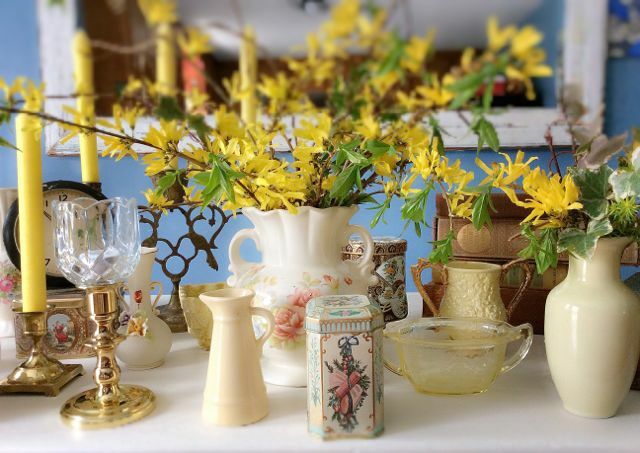 For yellow lovers, check out last year’s post, Happy Yellow Vintage China, And, for beautiful, locally grown NC flowers, check out the flower offerings at Fernrock Farm which provided the lovely daffodils in our arrangements. Thank you, Carrie and Bill! This was way too much fun – look for another set of vignette inspirations coming soon! Beautiful table decor! So sunshiny! I also love the Fernrock Farm website, too! Previous PostPrevious Vintage Feature – Announcing Our Centerpiece Packages!